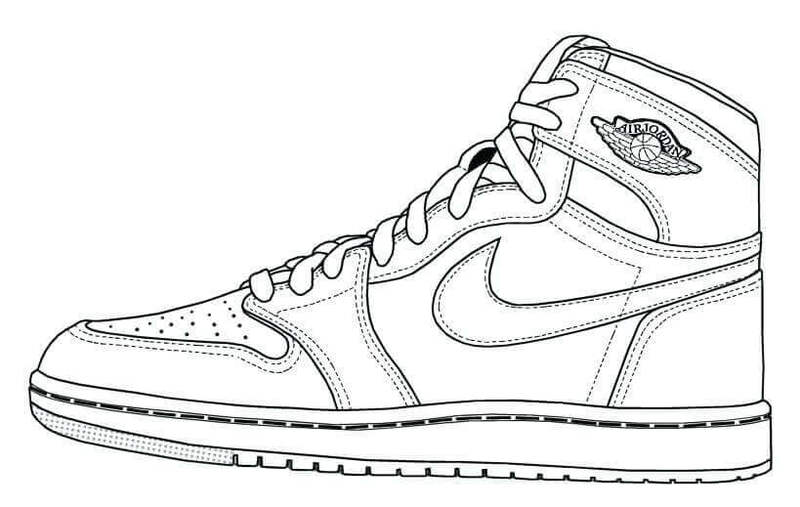 Shoes were just shoes until Nike and Michael Jordan launched the Air Jordan I in the mid-1980s. 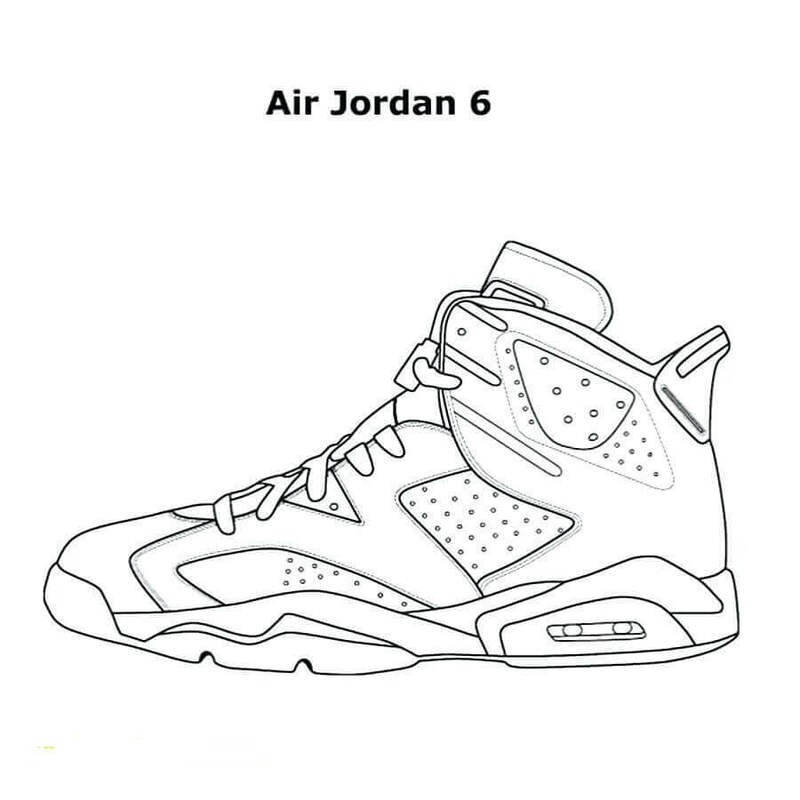 Even though the NBA banned the product for featuring non-regulation colors, Jordan didn’t listen and continued to endorse the product. 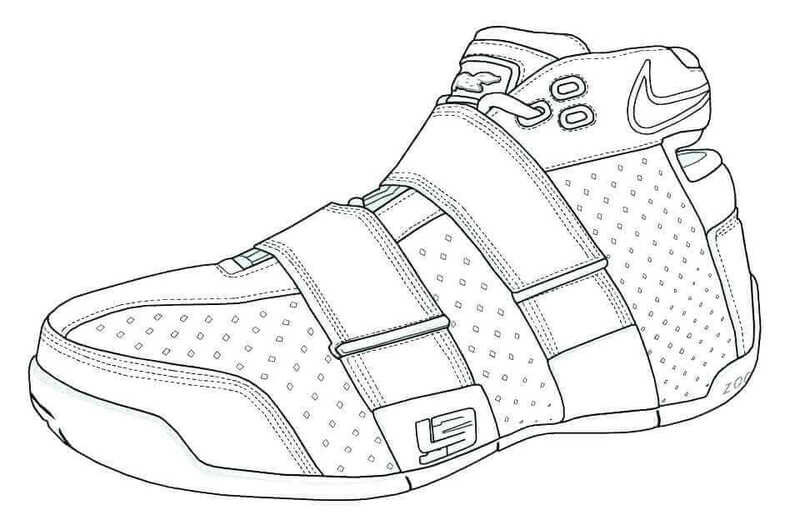 When the shoes were launched, little did Nike know that it would change the way basketball is played. 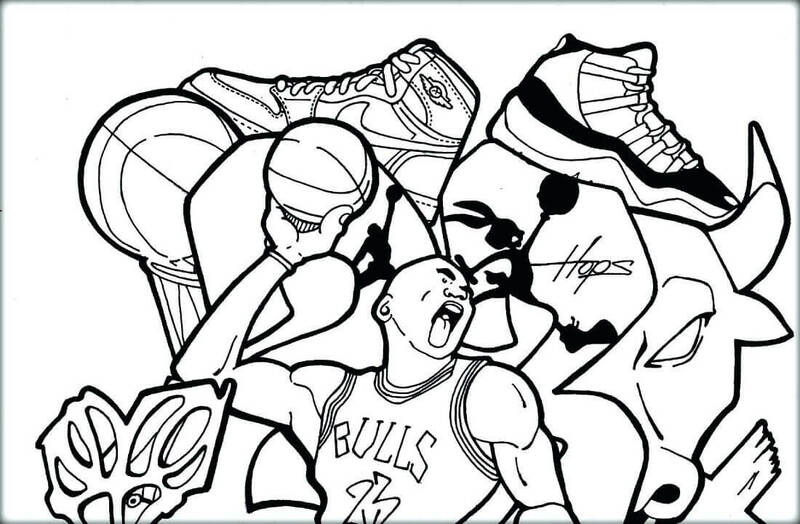 And neither did they know that it would have such a profound effect on non-basketball players. 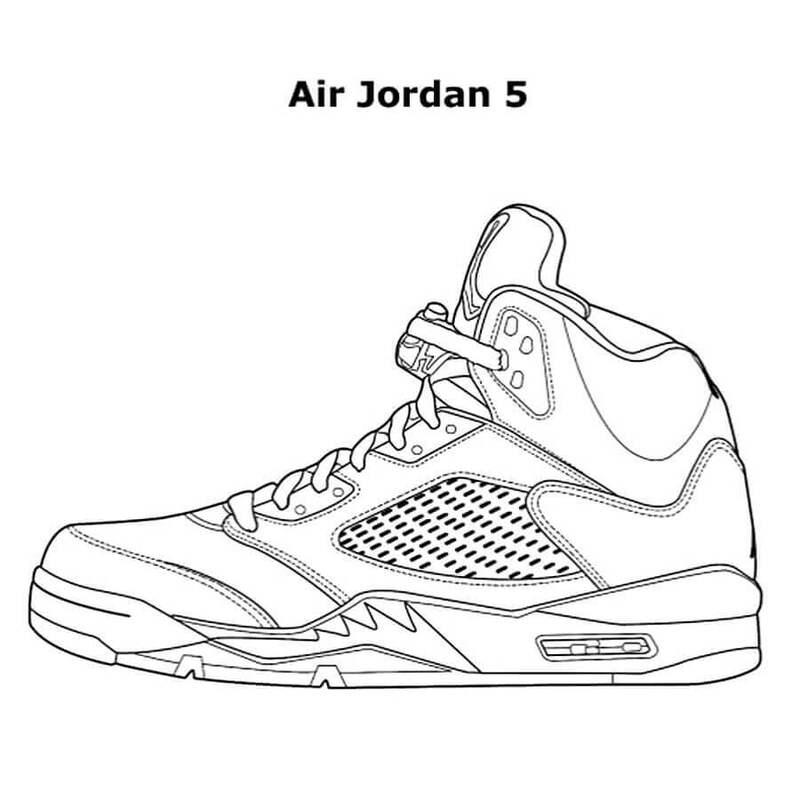 Until now, 32 pairs of these shoes have been released, each highly popular with both kids and adults. 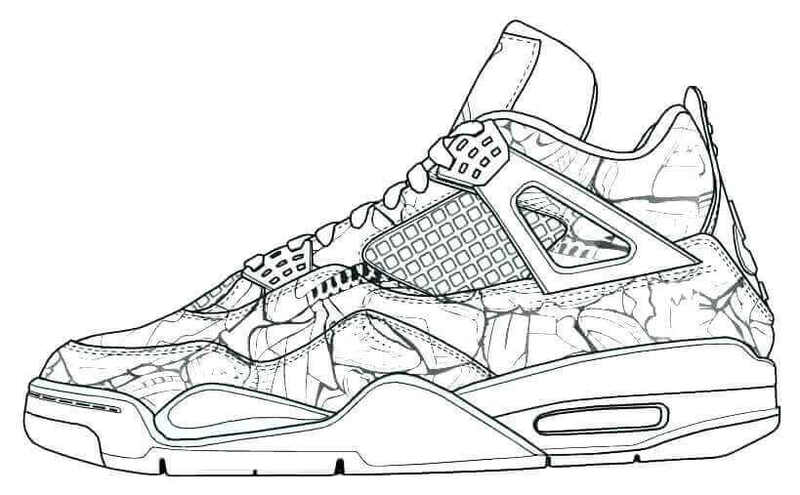 These best-selling sneakers in the world are also renowned for being the most expensive ones in the market. 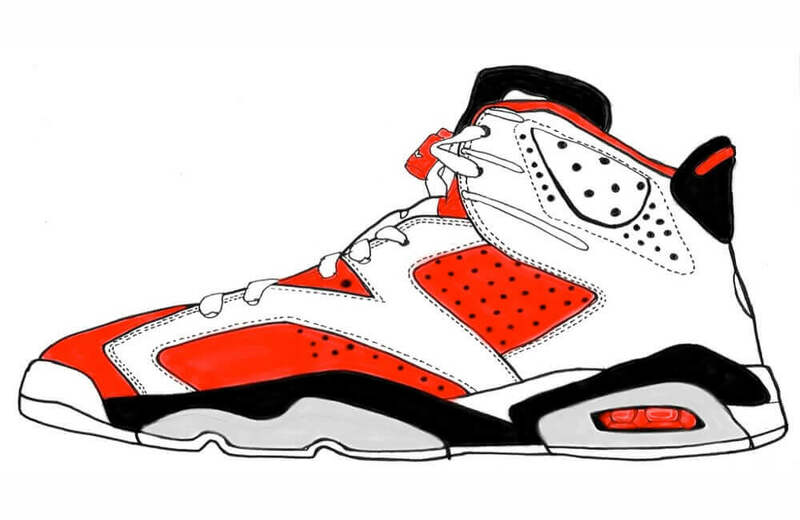 But its price doesn’t deter the fans from braving long queues to get their hands on the most coveted pairs. 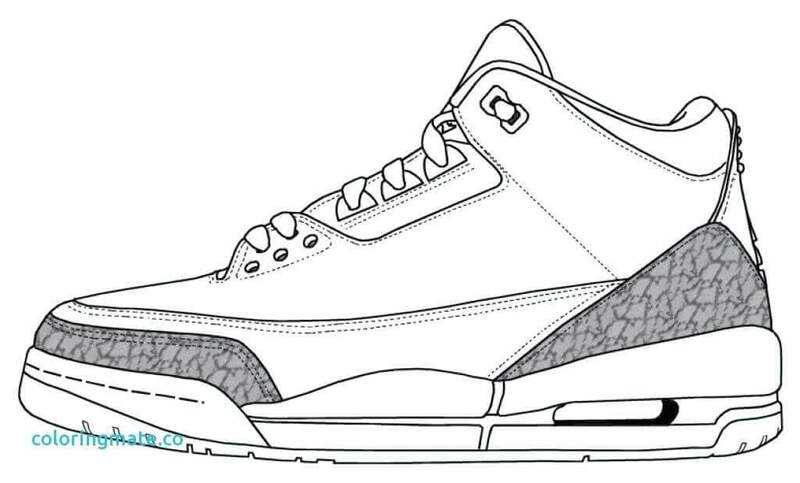 Today, Air Jordan has surpassed the status of just a pair of shoes. 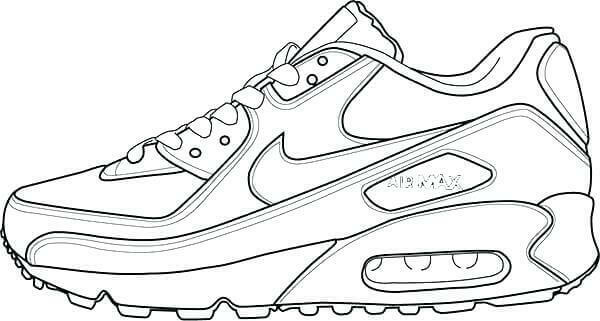 It’s more of a fashion symbol that everyone, be it young or old, wants to possess. 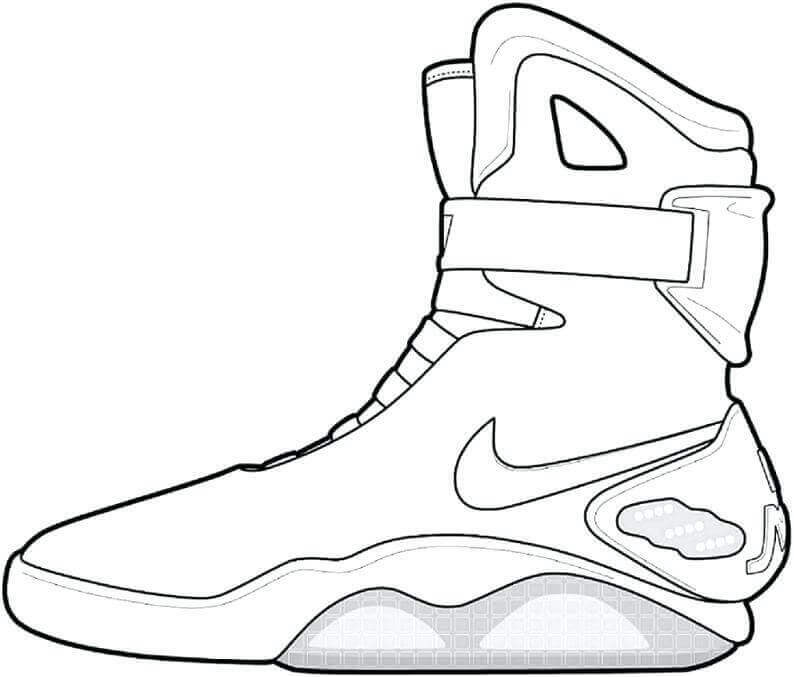 In fact, people have been devising ways to purchase them, just like cars and other expensive things. 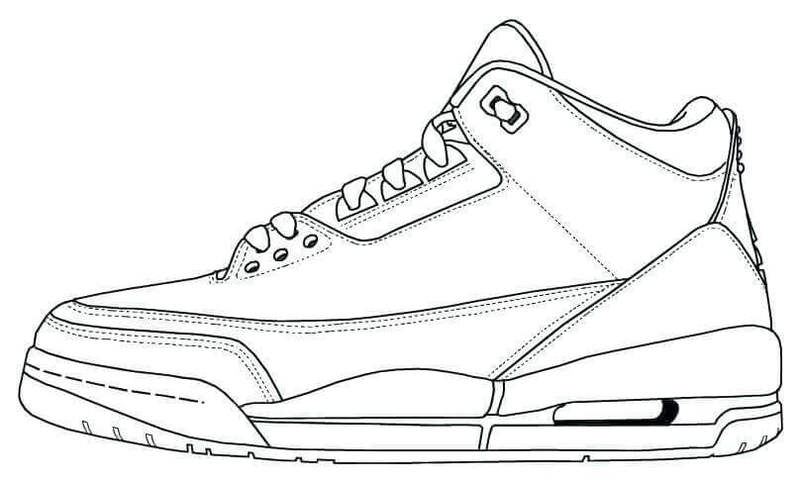 These days, Air Jordans are sold for a small profit until the seller has enough money to buy the latest or vintage editions. 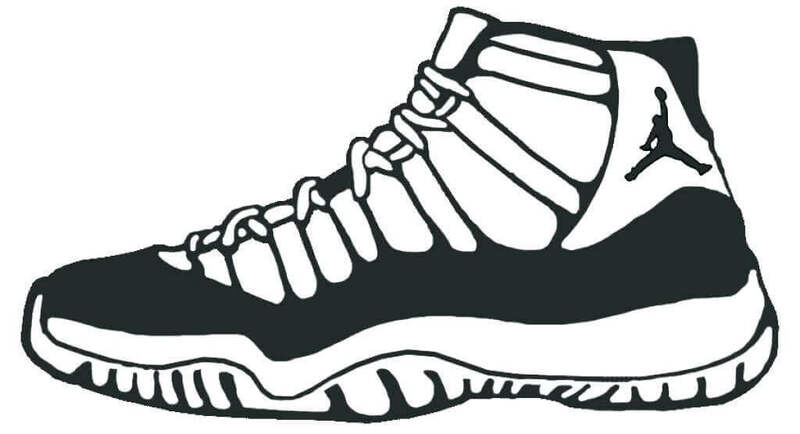 Jordan shoes are highly popular with the children for their timeless style, comfort, and performance. 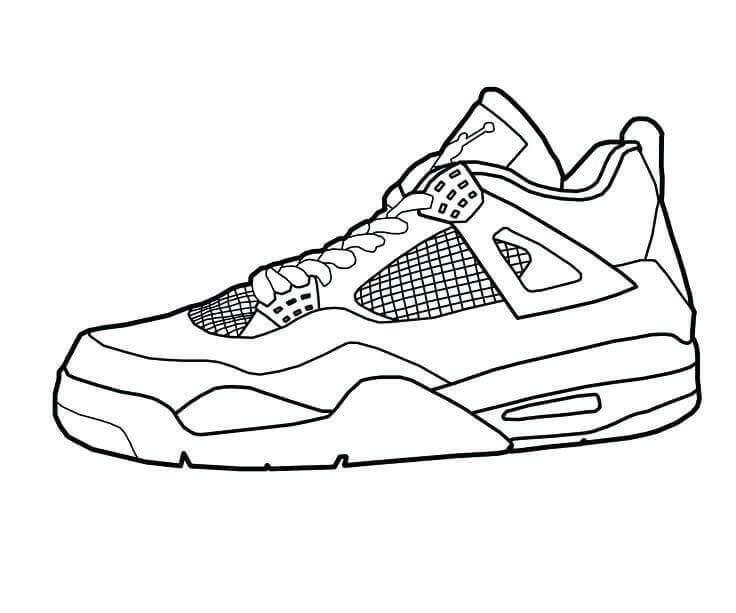 A legacy dating back to 1984, Nike Air Jordan sneakers were and have been a staple with boys, especially athletes for decades. 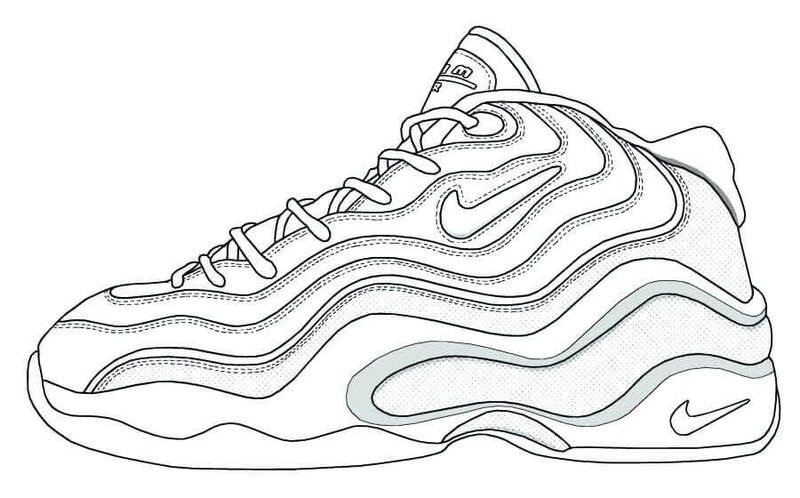 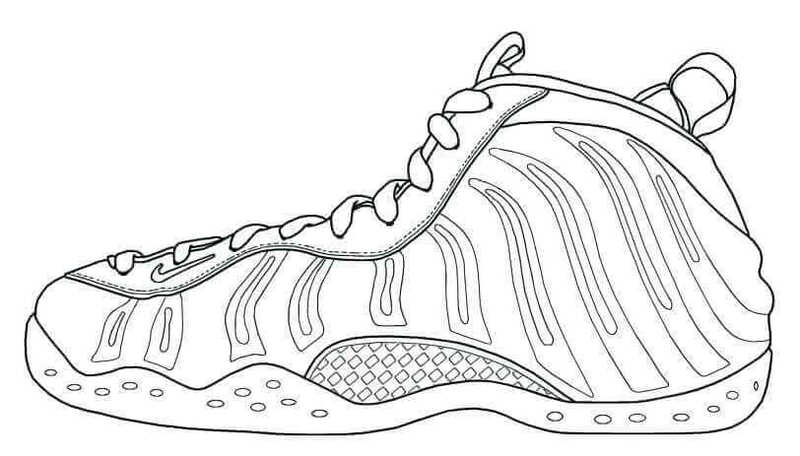 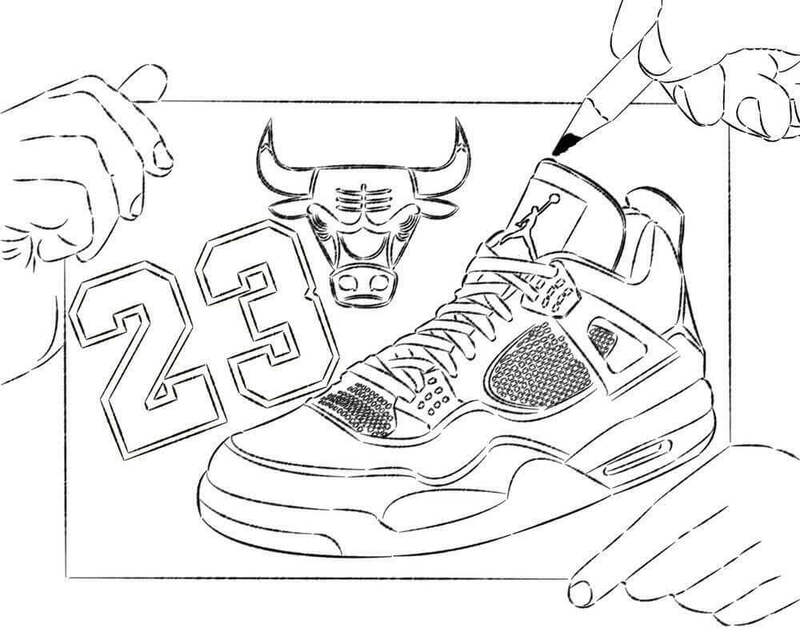 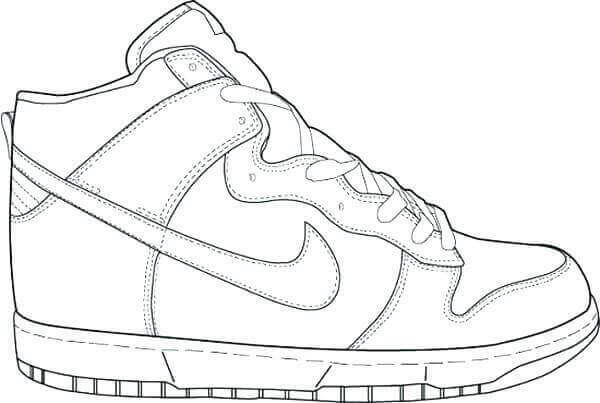 So introduce your children to the legacy of fancy footwear with these Nike Jordan coloring pages. 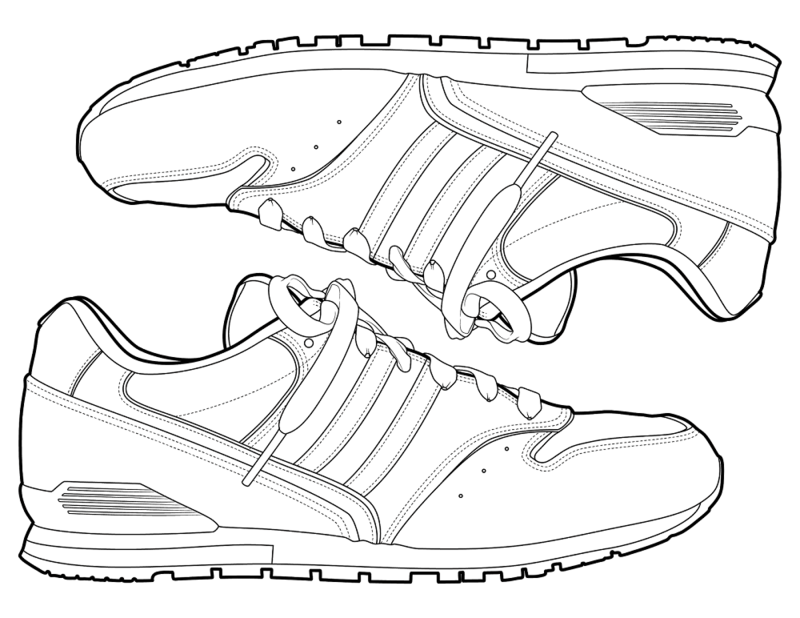 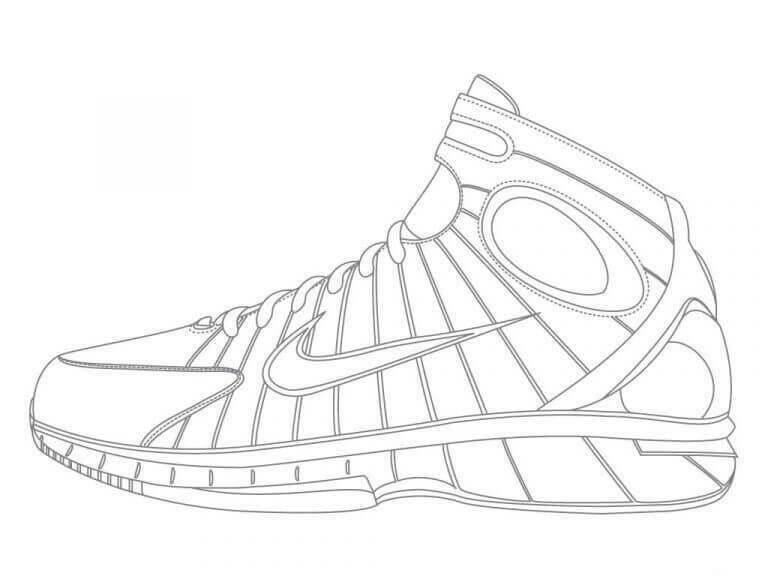 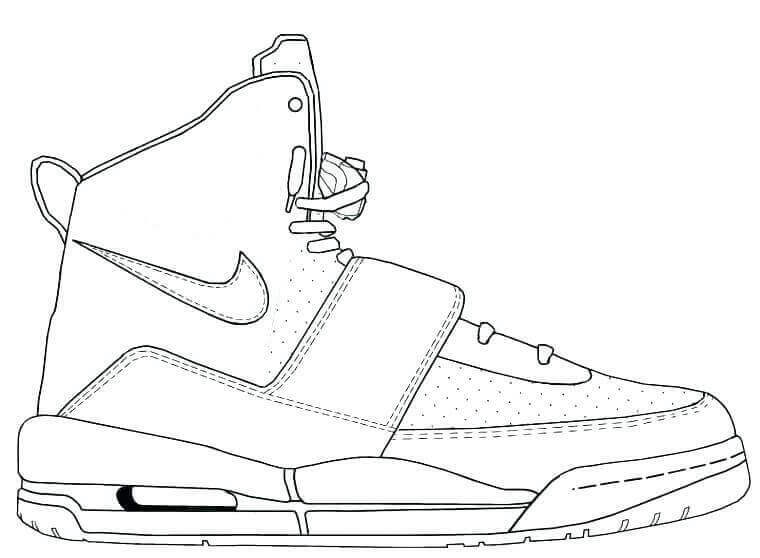 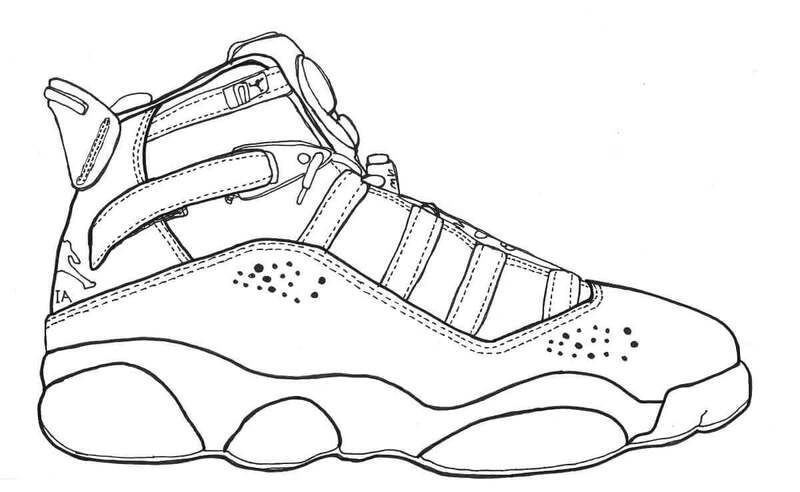 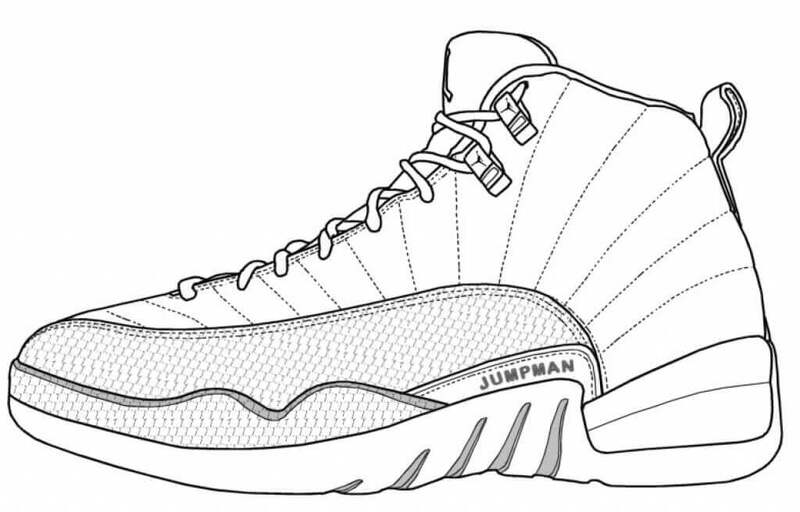 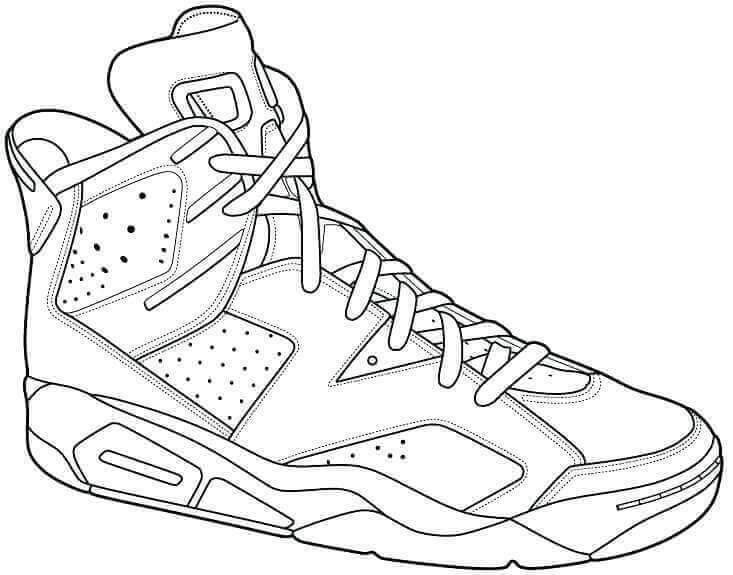 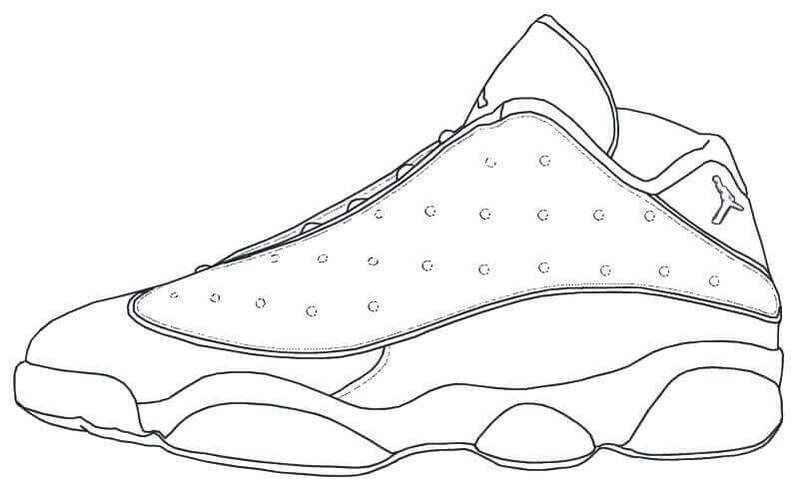 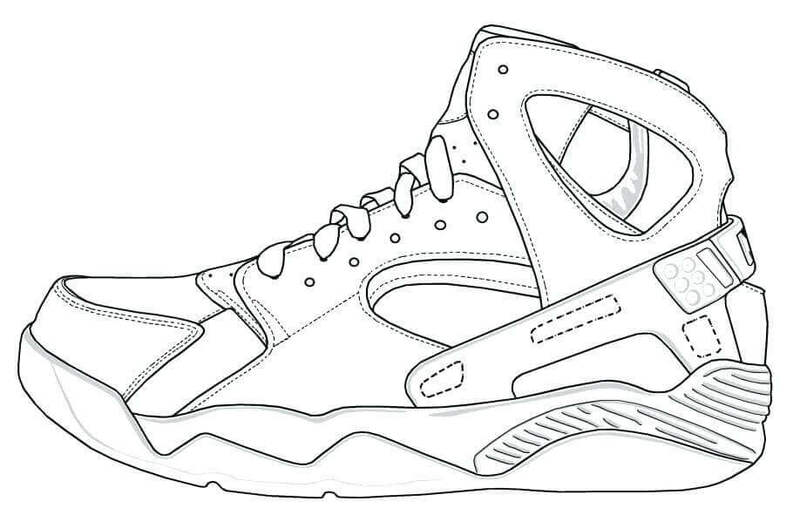 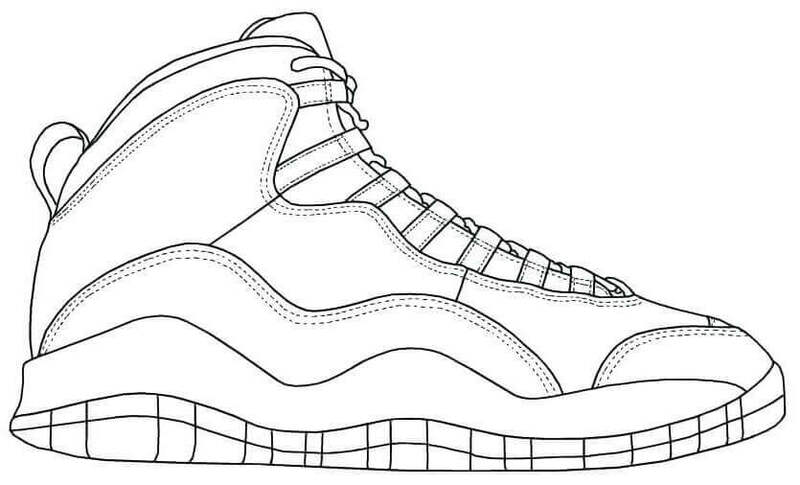 We have included coloring pages of a wide variety reimagined, retro and even latest Jordan shoe designs. 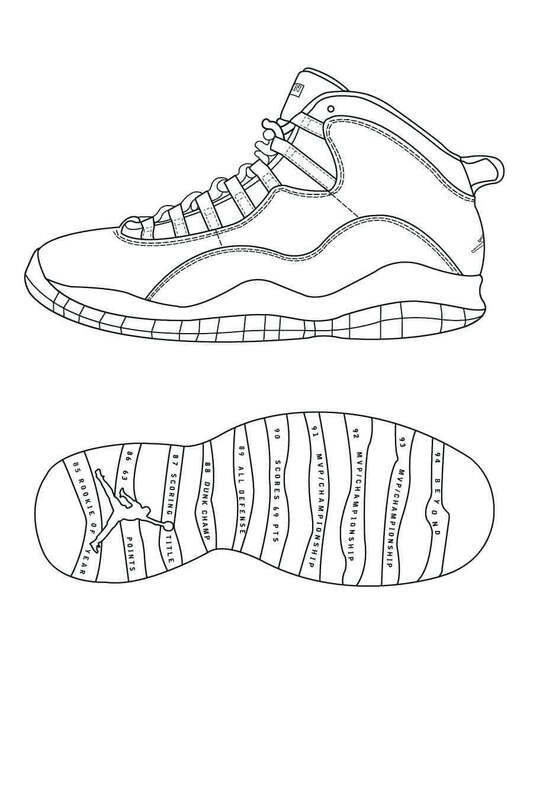 Children are sure to have a gala time filling an assortment of colors to these awesome Jordan coloring pictures to print. 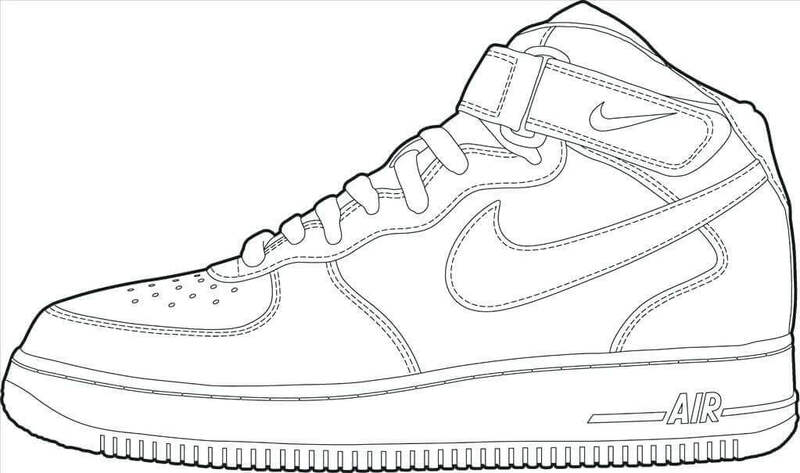 Some may even coax their parents to get them a pair of these shoes. 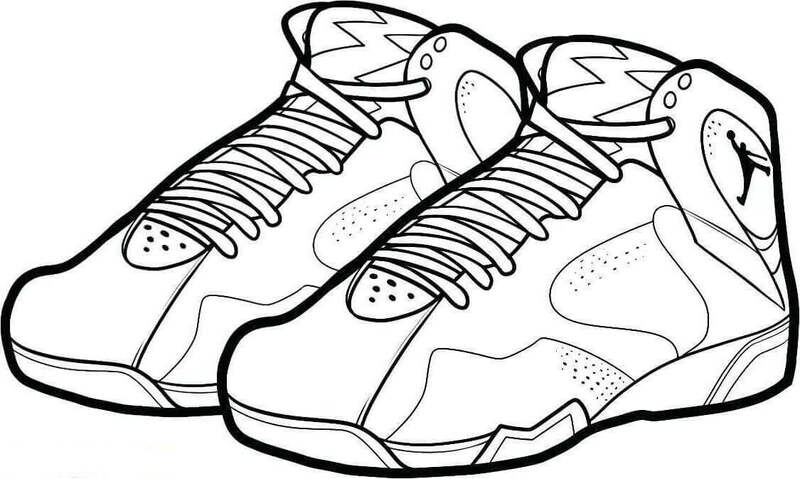 Well, that’s totally up to the parents, but for now, these Jordan coloring images will definitely keep them happy. 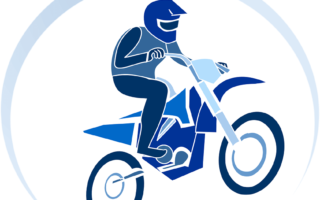 And don’t forget to check out our Dirt Bike coloring pages.